Marc H. Simon is a filmmaker and entertainment attorney. Simon created, wrote and produced After Innocence, which won the special jury award at the 2005 Sundance Film Festival, before going on to receive other recognitions, including its selection as a semi-finalist for Best Feature Documentary at the 78th Academy Awards. Nursery University (2008) marked Simon's feature directorial debut. The film premiered at Toronto's Hot Docs Film Festival. The documentary Unraveled (2011) was Simon’s second directing effort and third as a producer. 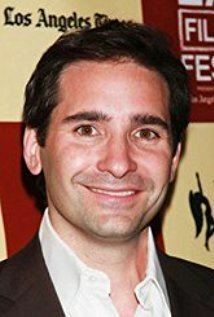 The film centers around prominent lawyer Marc Dreier, who was arrested for orchestrating a massive fraud scheme that netted hundreds of millions of dollars from hedge funds. Simon is also an independent film attorney serving as lead counsel for films such as Winter's Bone, The Kids Are All Right, Werner Herzog’s Cave of Forgotten Dreams and Money. Marc is a graduate of Cardozo Law School and the University of Pennsylvania.